Why does The Autism Mom promote treating autism when many professionals still consider this a hopeless diagnosis? Our believes in early diagnosis, intensive therapies and medical intervention for children affected by autism. With early intervention, medical treatment unique to each person’s needs and necessary support services for families many children can improve greatly and some can recover from their autistic symptoms. We believe the future is not defined for many children affected by autism. Hope and recovery are possible. Why do we treat individuals with Autism Spectrum Disorders? Let’s consider a child, labeled with autism, who has a gastrointestinal condition, as most do, why would we not treat that gastrointestinal condition? That’s like saying a child with asthma who falls and breaks his leg shouldn’t get his leg break treated, merely because he also has asthma. It’s inhumane to leave a treatable condition untreated merely because of a label. The better question is why wouldn’t you treat a treatable condition? Why wouldn’t you treat any condition that makes your life more challenging? If you had diabetes, wouldn’t you treat it? Why is having a label of autism different? It’s not. Individuals with ASD deserve to be healthy. Individuals with ASD deserve to be happy. Individuals with ASD deserve to be safe. Individuals with ASD deserve to have a future. Individuals with ASD have a basic human right to be well. Individuals with ASD have treatable medical conditions. The American Academy of Pediatrics Standards of care says up to 70% of people with ASD have treatable gastroenterological conditions. Other recent research confirms that individuals with ASD have significant treatable medical conditions, and adults with ASD have even higher rates of treatable medical conditions than their NT peers, showing a real need for using functional medicine to test and treat conditions that can cause or exacerbate their ASD symptoms, regardless of the autism label. 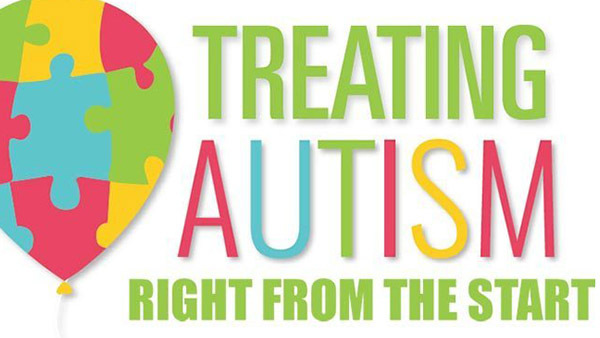 What does “treating autism” actually entail? The approach to treating autism uses Functional Medicine. In short, the doctor runs lab tests to see what may be wrong or not working properly, then prescribes treatments to alleviate or fix those problems, which in turn makes the individual healthier and present with less pain, causing the patient to display less severity of autism criteria. Sounds exactly like what medicine is supposed to be, right? Isn’t that what you expect when you are not feeling well and go to your doctor? That they will run tests, diagnose the issues and set out treatments to fix the problems, right? That’s all “treating autism” is too. The treatments that are used are personalized to the symptoms presented, so what one individual is prescribed may bedifferent from the next. You will notice that a MAPS doctor is recommended. MAPS is the Medical Academy of Pediatrics Special Needs. MAPS Doctors are doctors who specialize in the medical issues commonly found in individuals with autism. A group similar to MAPS was DAN! (Defeat Autism Now) but they closed in 2011. The definition of “recovery from autism” means “not meeting the diagnostic criteria for ASD and being indistinguishable from your peers”. There is no gray area here. It’s all or nothing. Your child is either recovered or not recovered from autism. There are no “levels” of recovery. Just recovered or not. Even the National Institute of Health (NIH) recognizes that children with ASD can recover and become indistinguishable from their peers. That’s great news but we’ve never met a family who didn’t work endlessly to get their child there. The children don’t just “grow out of it” and spontaneously recover. It takes a lot of effort, but it does happen, and it’s glorious when it does. Most recovered children use something that helps them maintain their recovery. For some it’s diet, for some it’s a supplement. For most it’s both of those. As long as that “crutch” is needed to maintain recovery, it should be used so the individual can maintain a healthy life, free of unnecessary challenges. Some adults with ASD say they like their autism and don’t want to be cured, but treating our kids really isn’t about curing as much as it is about restoring health, giving our kids their voices back, their futures back, making them safe and happy in their own bodies and in their communities. Our kids don’t have those things and they deserve them. We’re not talking about people with “quirks” and “savant talents”, we’re talking about sick little boys and girls who cannot speak, have extreme behaviors, smear feces, scream all day and night, do not sleep, run into traffic, bang their head or bite their arms until bloody, have no safety awareness, attack those around them, cannot learn and cannot cope being in their own bodies. These children have treatable medical conditions that when treated, their health and lives improve. Yes, that also lessens their severity of autism. So whether you call that cure, or recovery, or something else, the aim is health and happiness. Everyone deserves that. Everyone. Anyone who can self-advocate against a cure does not need one, and should be appreciated and accepted for who they are, but no one should take that choice away from someone else. One group should never speak for all. Individuals and their families deserve a choice. While recovery is great, and may be the goal for our families, it won’t happen for everyone. But that doesn’t mean we shouldn’t treat our kids medically, because recovery or not, our kids still deserve to have their medical issues treated and lead happy, healthy lives to the fullest possible extent possible to live up to their potential. Our kids, whether they are 2 or 52, deserve the highest quality of life we can give them.